Ingredients: sugar, cocoa butter, whole milk powder, cocoa mass, emulsifier: soy lecithin, natural vanilla. Added ingredients: fresh cream, glucose syrup, sorbitol, Marc de Champagne (cocoa solids 28% min; milk solids 25% min). 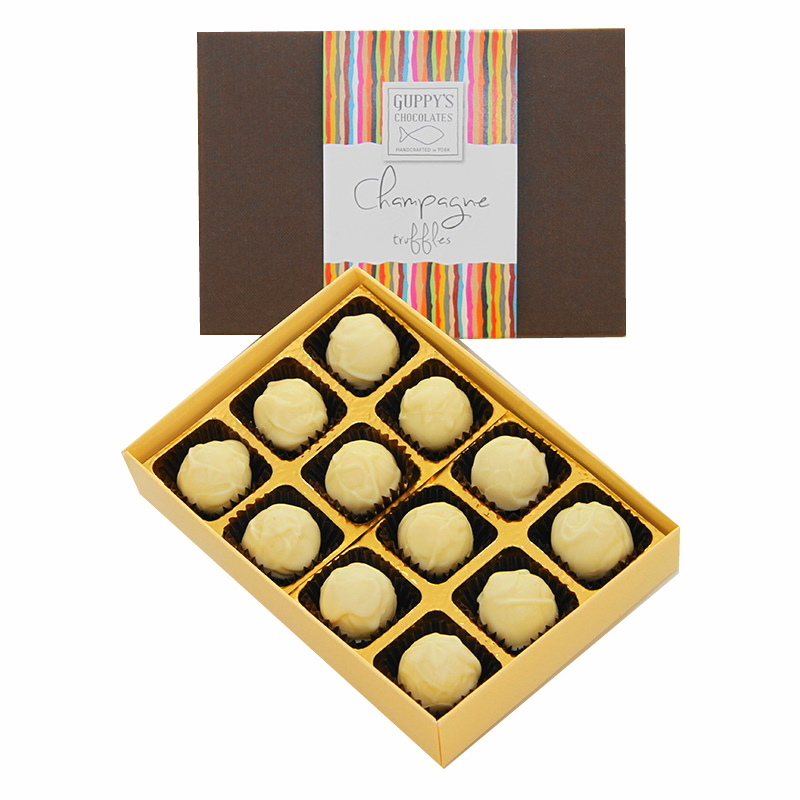 For lovers of creamy white chocolates, why not try our white chocolate champagne truffles. Made with Marc de Champagne - truly decadent! All our chocolate truffles are handmade in small batches. As fresh cream is used, the best before date will be approx. 8 weeks from the date that they were made. They come packaged in a stylish box.